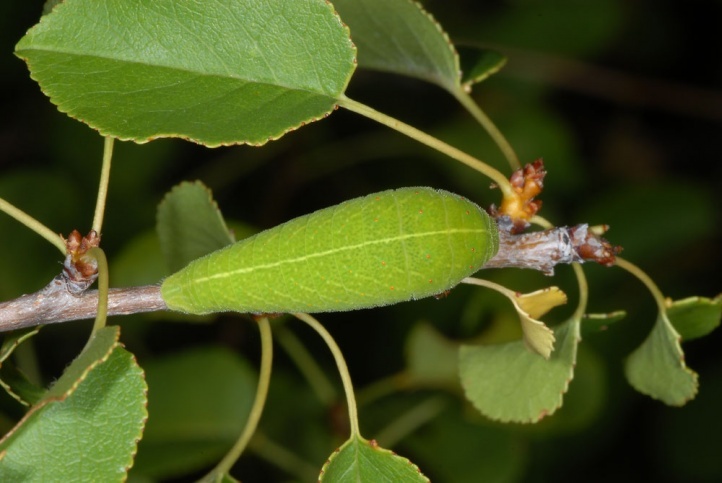 Woody Rosaceae as Pyrus, Prunus, Crataegus, Amelanchier and Sorbus. 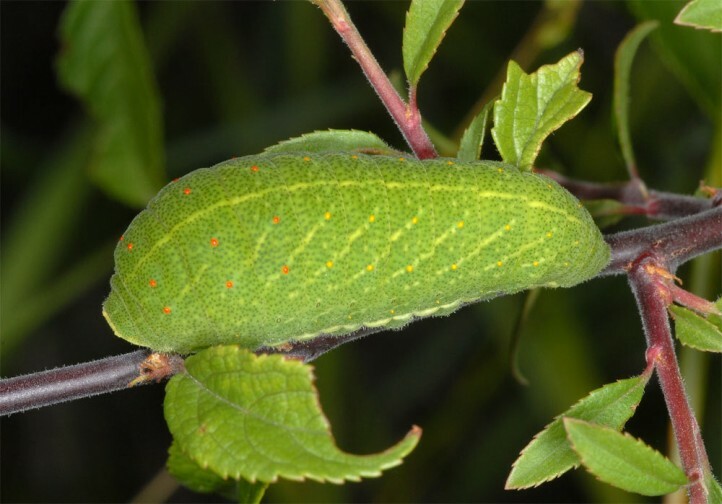 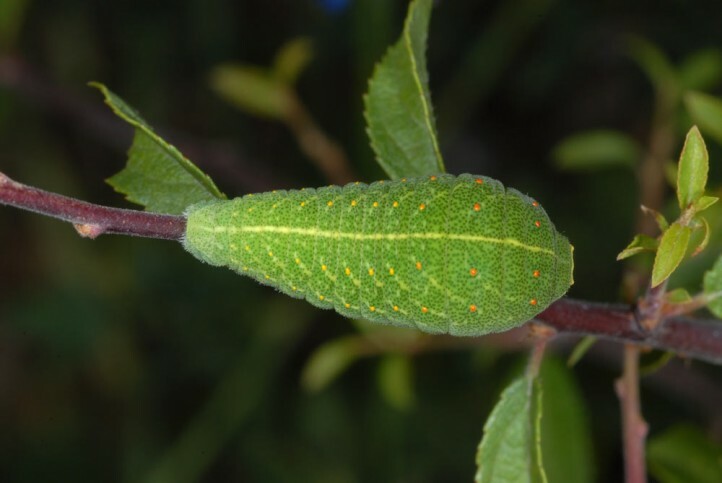 In Central Europe the caterpillar is usually found on Prunus spinosa. 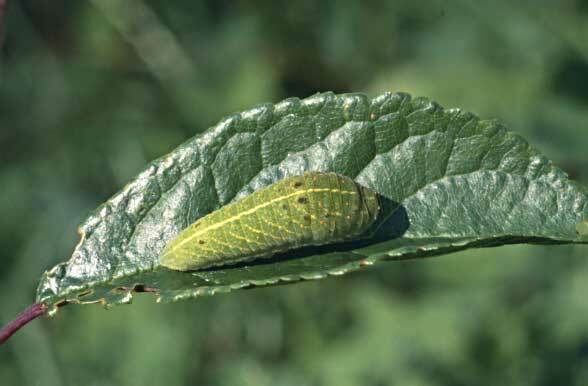 Iphiclides podalirius inhabits hot, bushy slopes with cripple forms of Prunus spinosa, such as accompanying rivers like Nahe and Main in Germany. 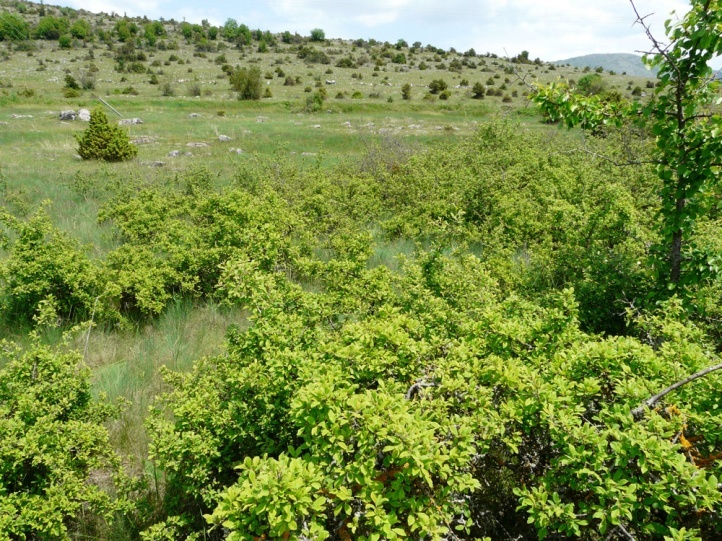 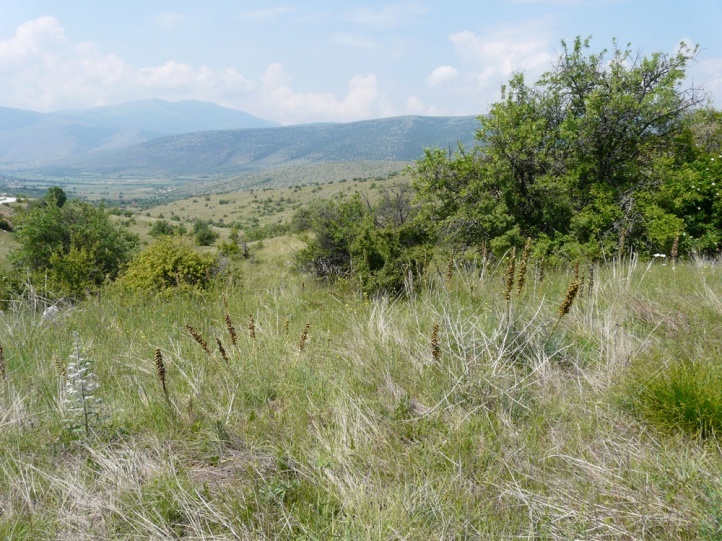 In addition, it is also found in sandy areas. 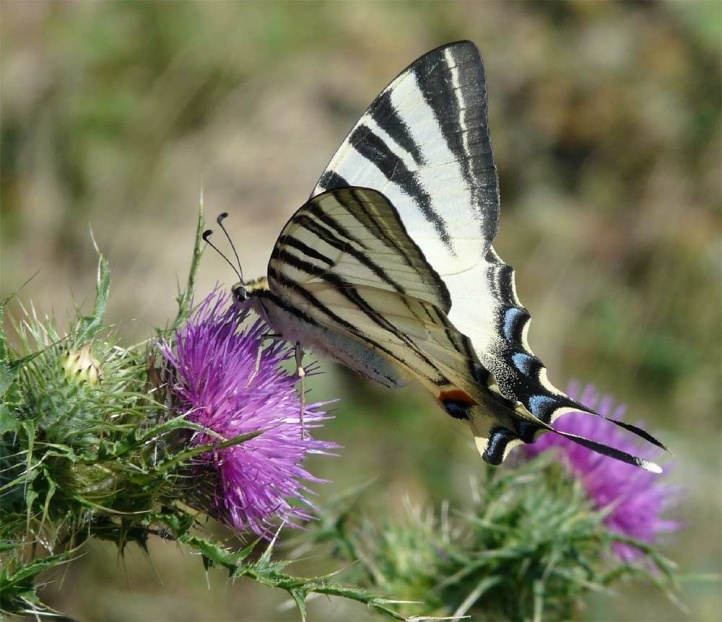 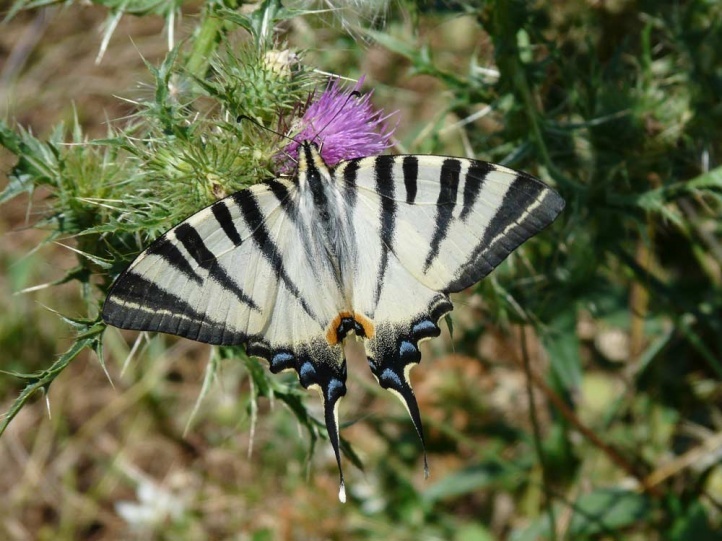 In the Swabian Jura the beautiful butterfly is already extinct now, but still occurs local in the neighboring Fränkische Alb. 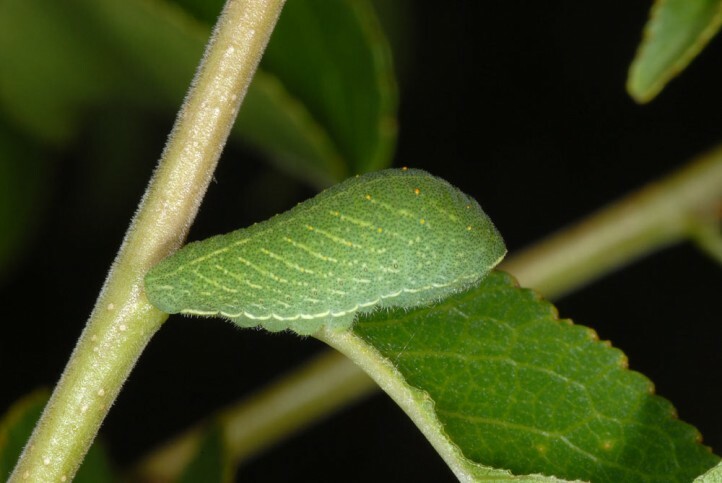 The caterpillars develop in the north only on small, knee-high shrubs that grow in the heat on chalky, open floor etc. 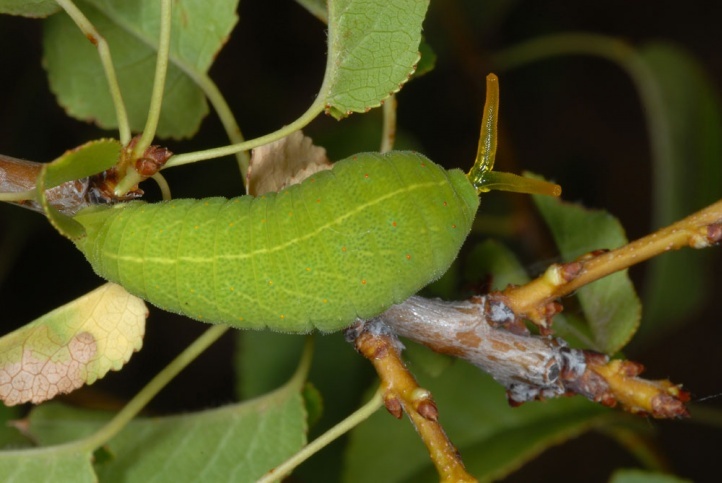 On the other hand, in the warmer Mediterranean area Iphiclides podalirius also oviposits on higher fruit trees (relative permanence of development location). 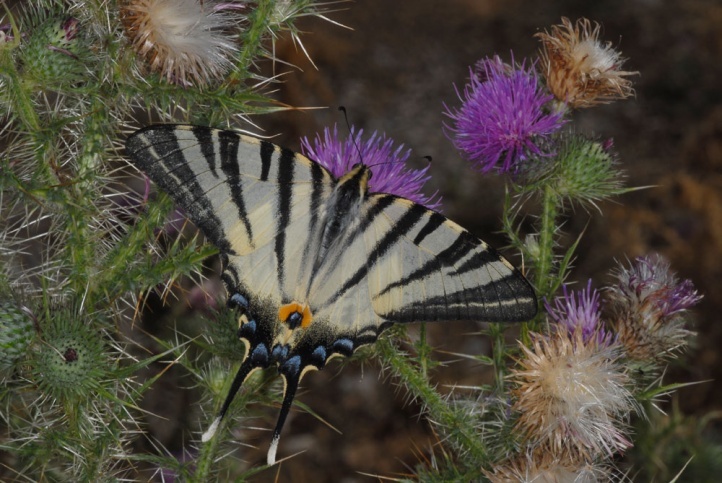 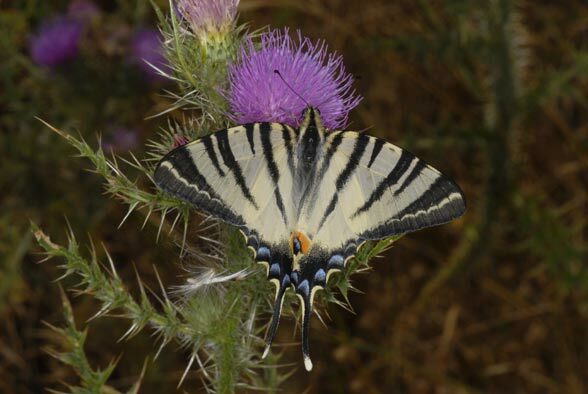 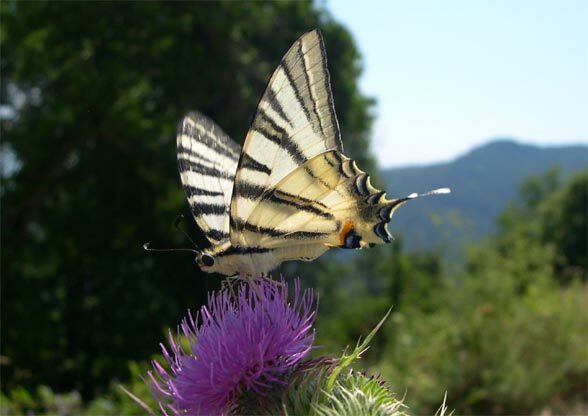 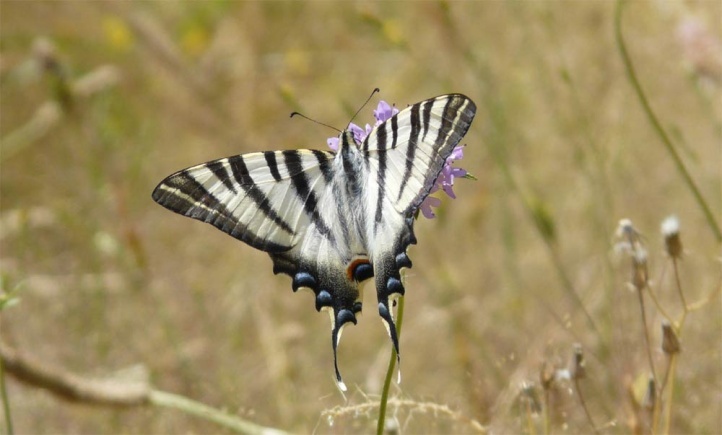 In the Mediterranean, Iphiclides podalirius is one of the most widespread butterflies. 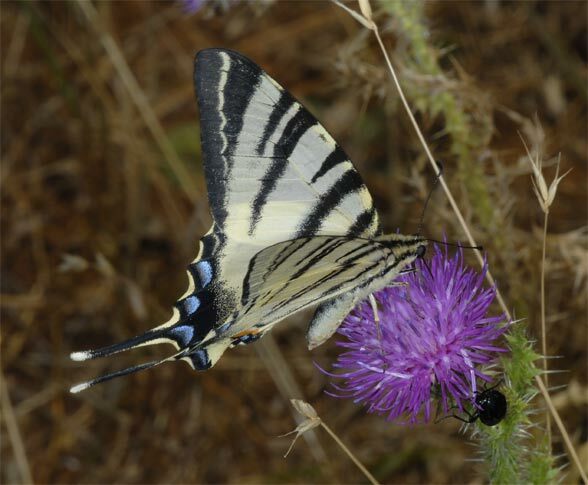 In the north Iphiclides podalirius flies in one to partially two generations, in the south at low altitudes often in three. 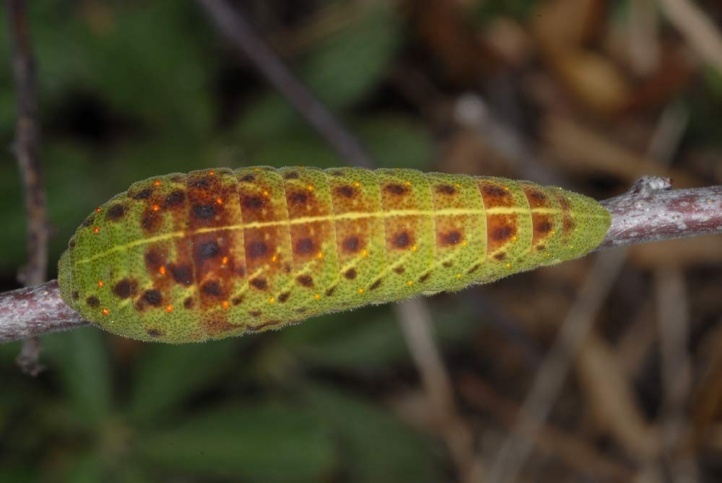 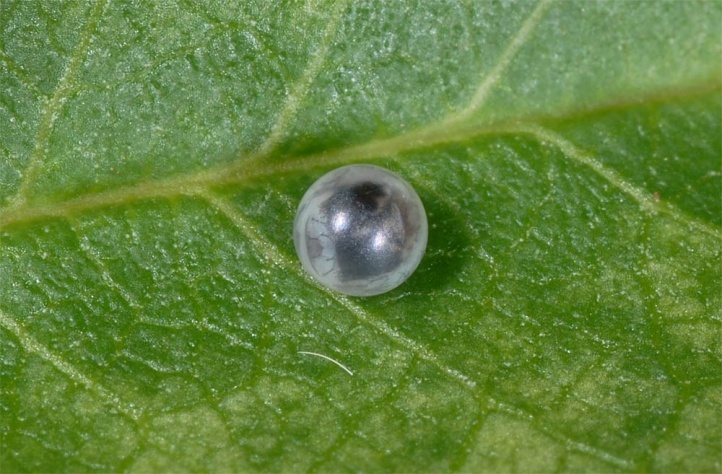 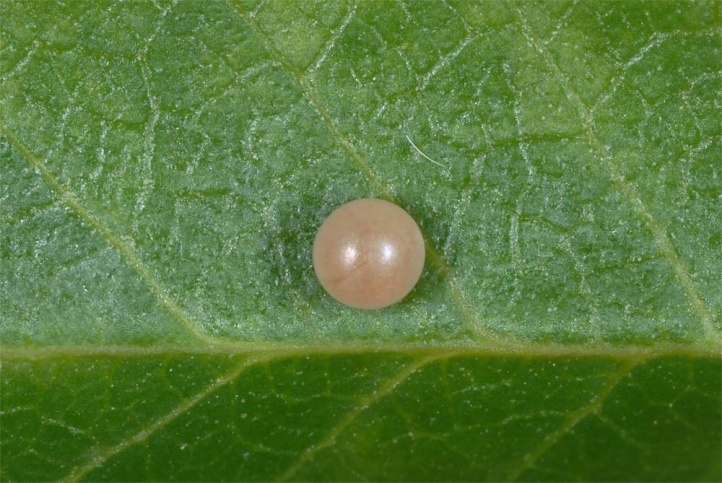 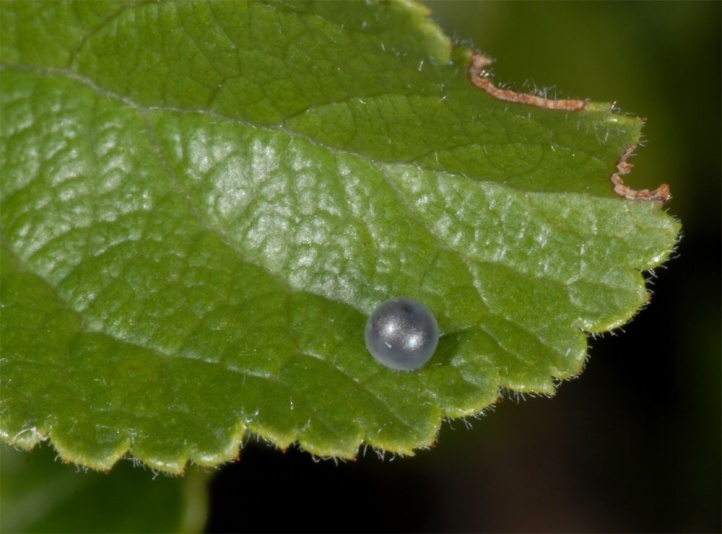 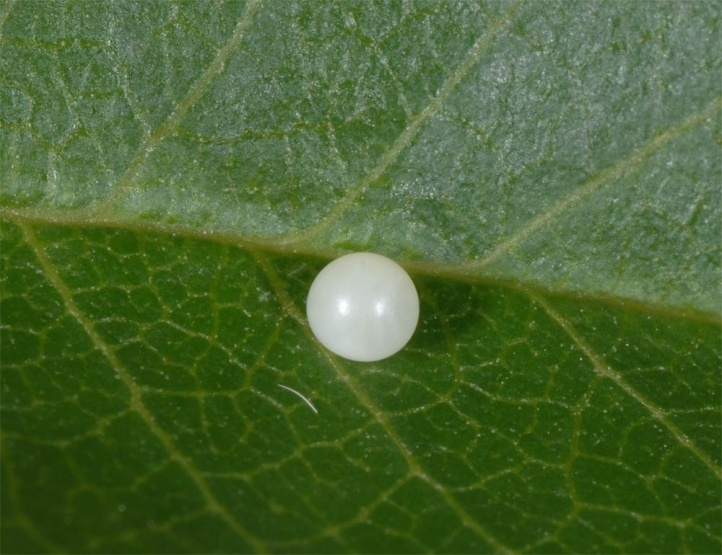 Oviposition takes place both on the upper leaf surface (especially for larger leaves, most often) as well as the bottom (often with small leaves, more rare). 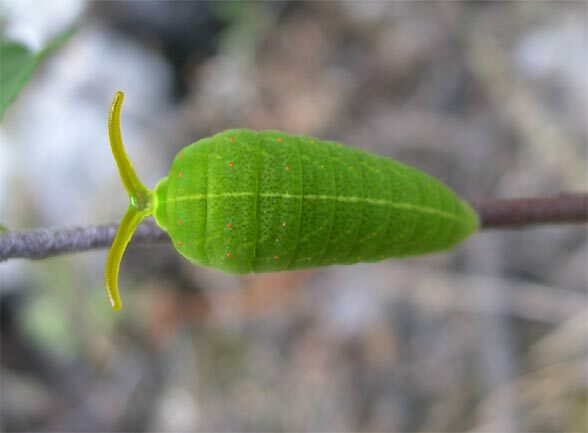 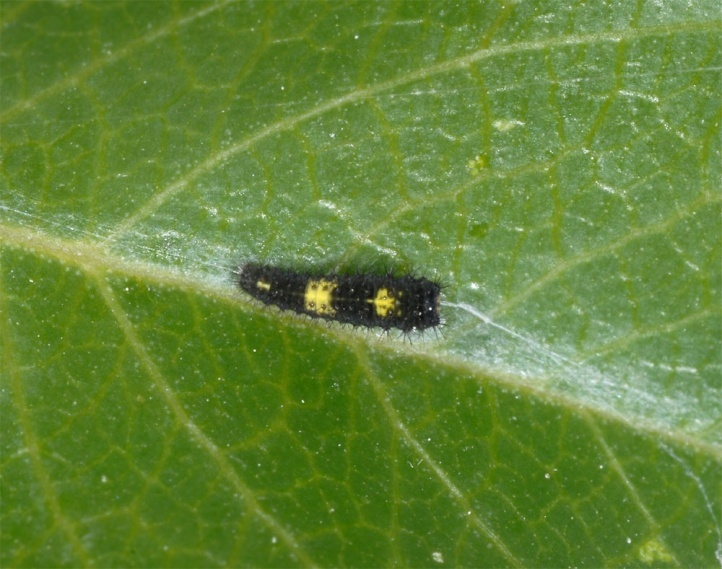 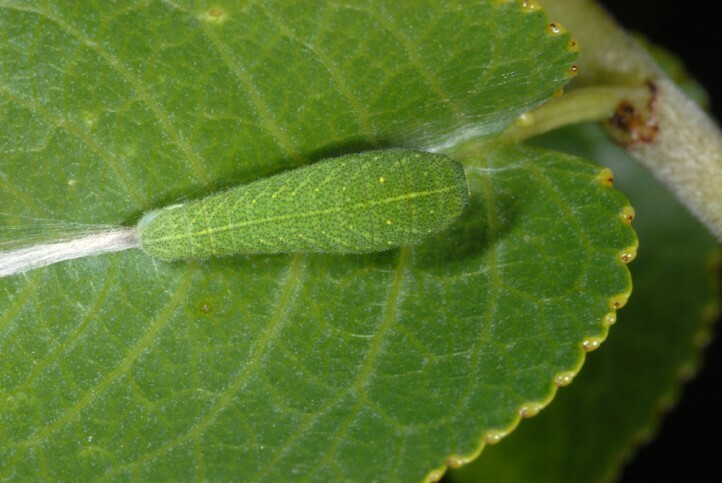 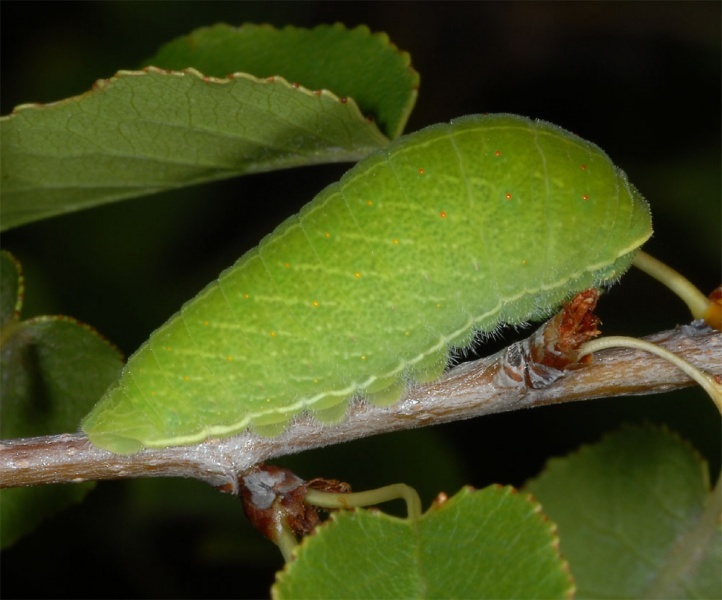 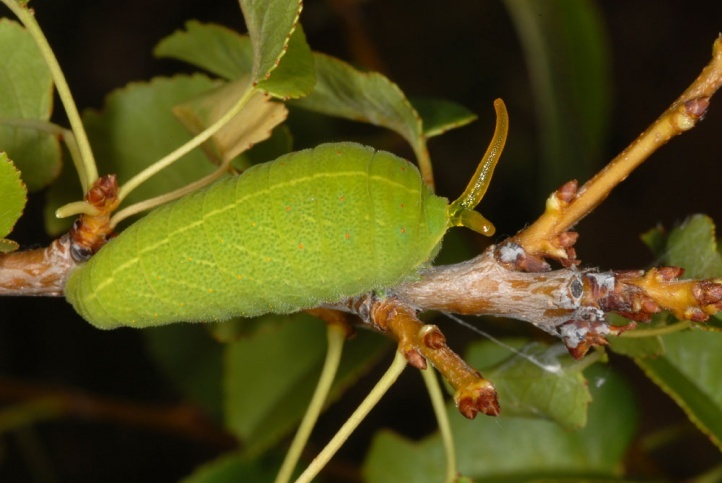 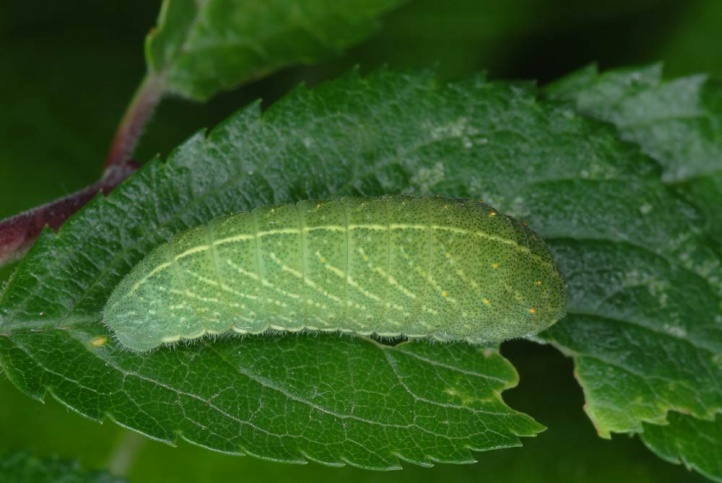 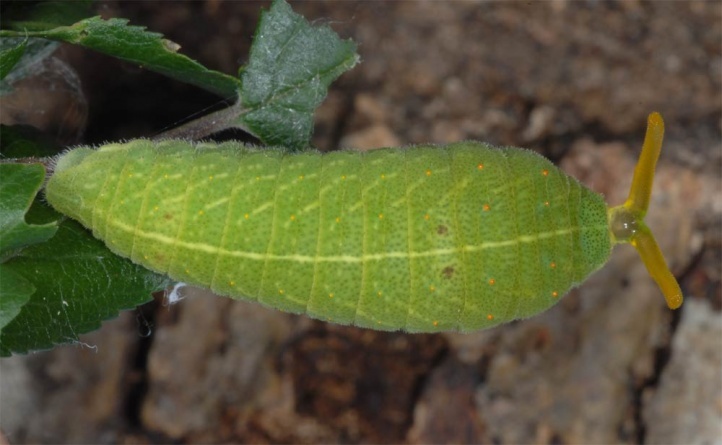 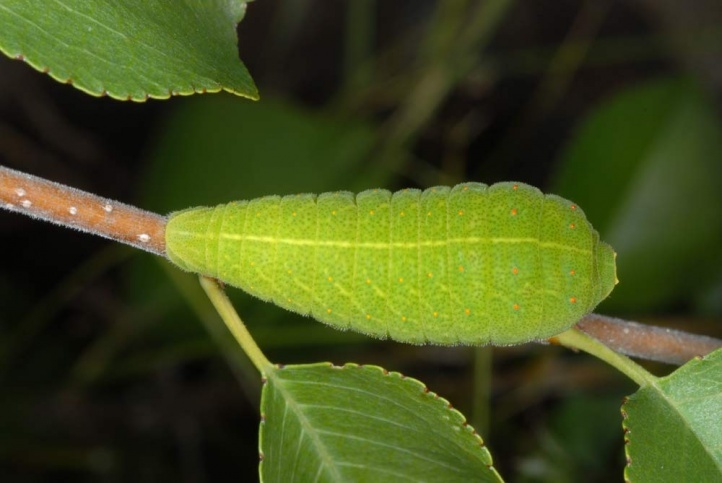 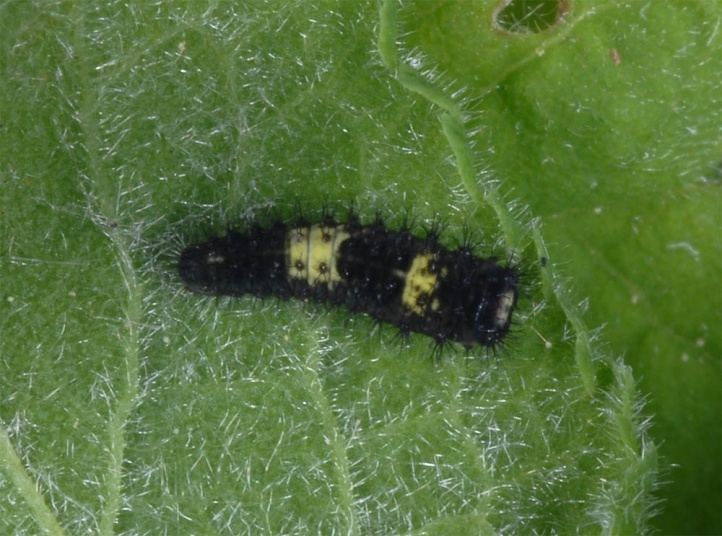 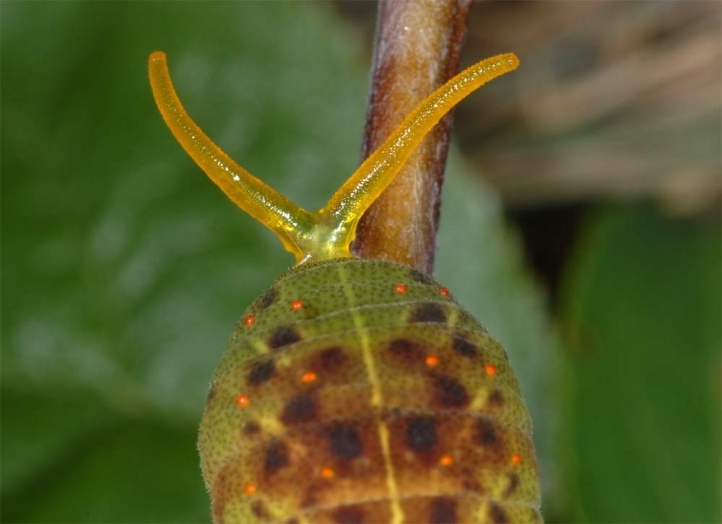 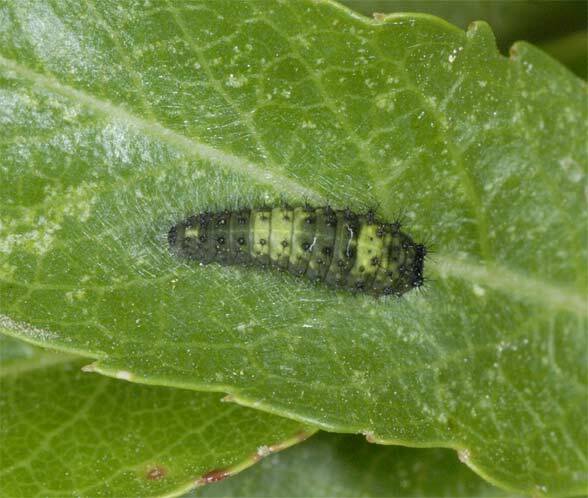 The caterpillar is sitting on the upper leaf surface, where it is well camouflaged. 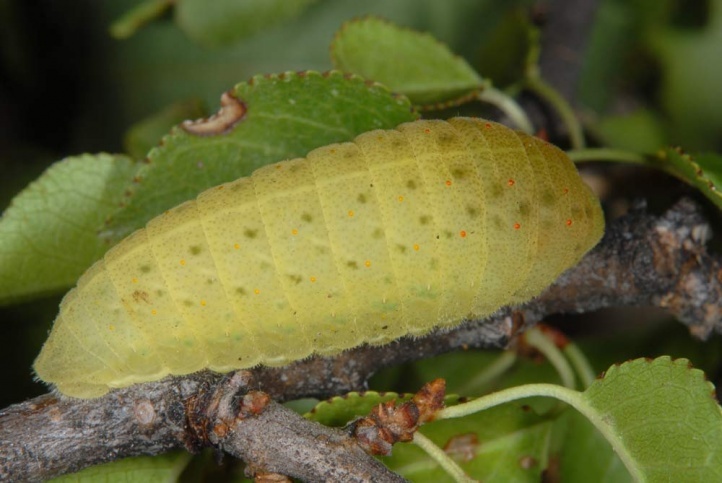 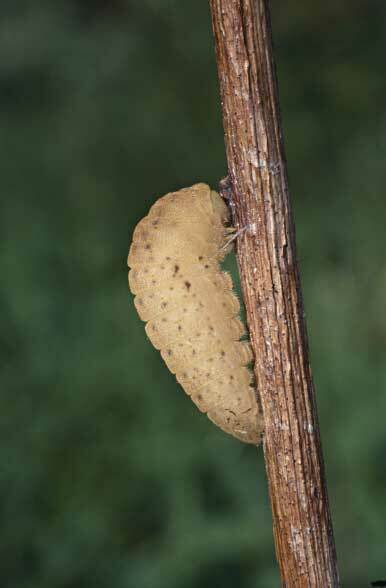 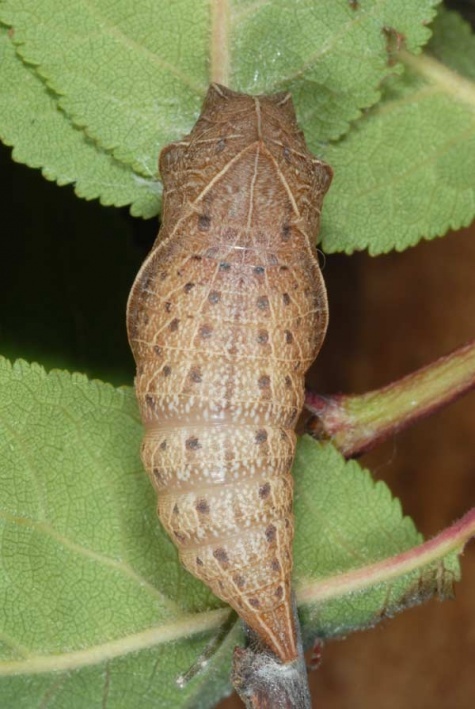 Iphiclides podalirius overwinters as a pupa (girded type) on rocks or tree trunks. 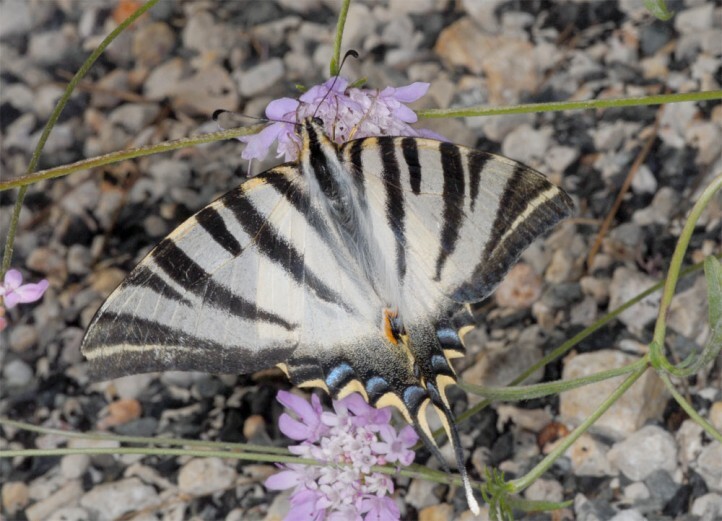 In Central Europe north of the Alps, this beautiful species has been pushed back to a few heat islands where larger habitat is still available and has not yet been entirely destroyed by the wine industry etc. 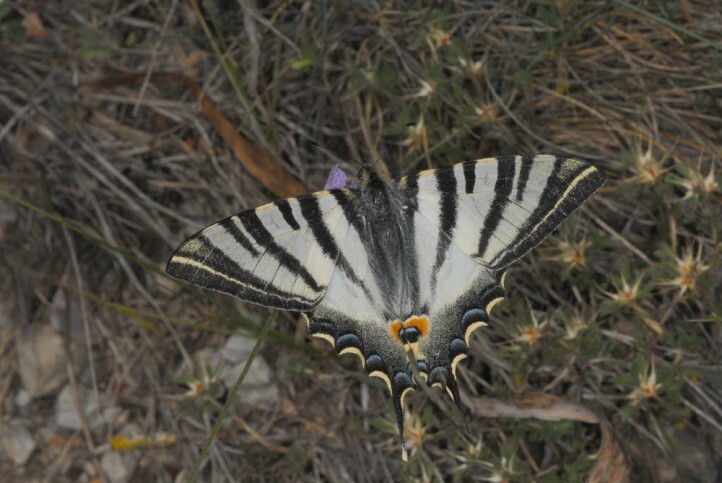 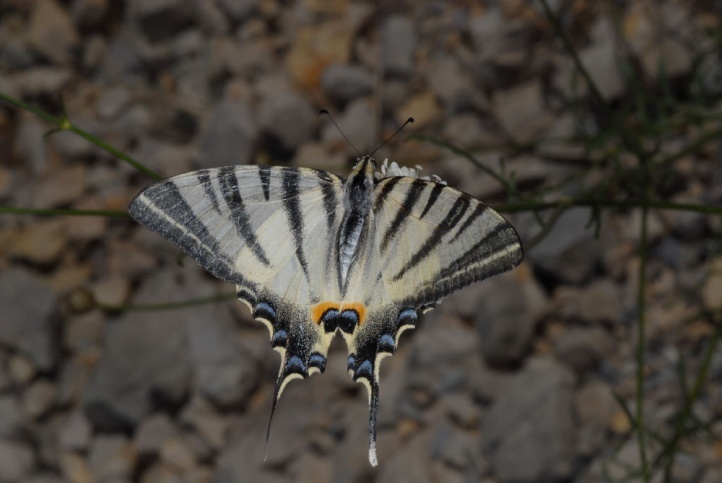 In the Southern Alps and the Mediterranean, however, Iphiclides podalirius is still common. 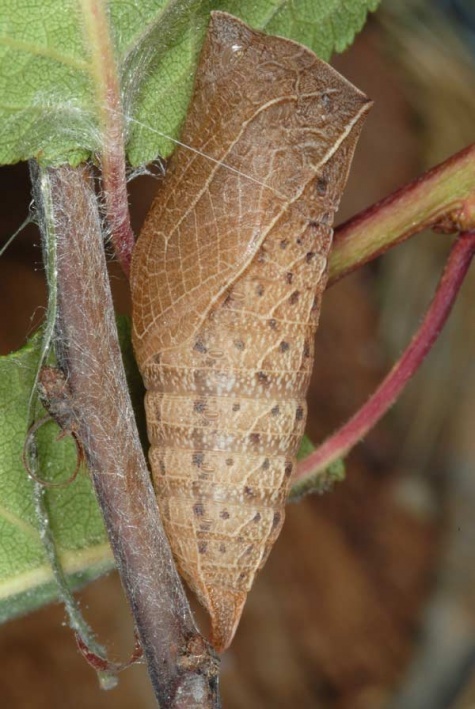 At Rhodes it lives, for example, also in the inner city where the larvae feed on peach, etc. 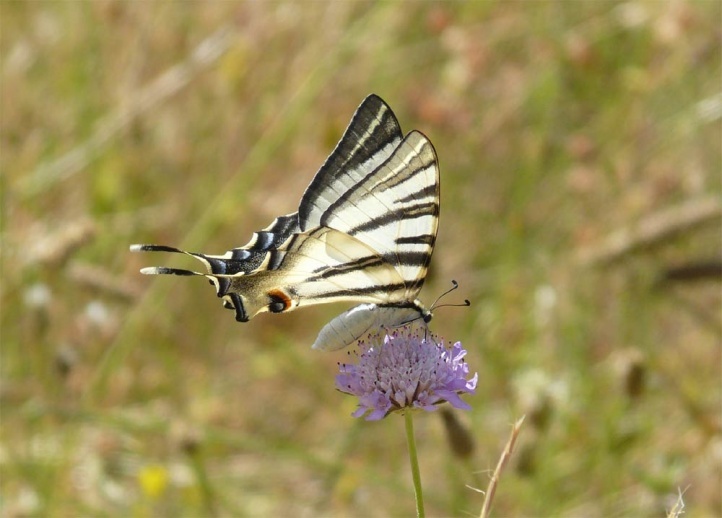 Iphiclides podalirius needs large habitats or a dense network of patches, which is the main problem in Central Europe. 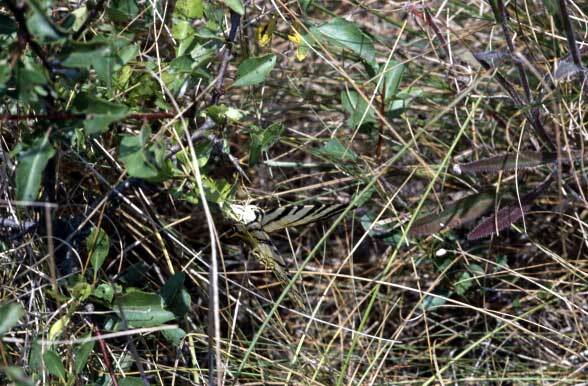 The males are often found in the spring on hilltops (hilltopping for courtship). 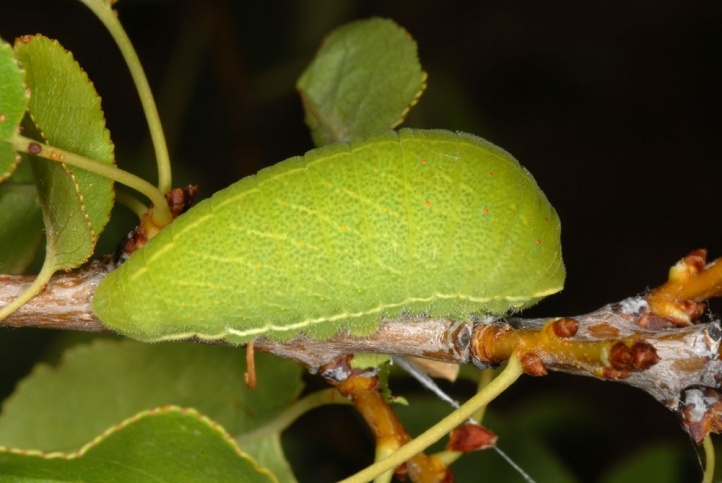 Iphiclides podalirius is distributed from Northwest Africa across Central and Southern Europe to Western China. 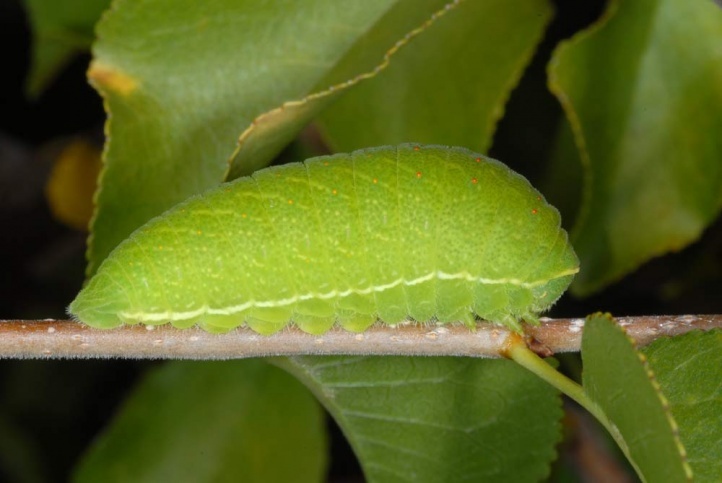 The populations of Northwest Africa and Southwestern Europe (Iberian Peninsula and French East Pyrenees) are sometimes regarded as a separate species Iphiclides feisthameli. 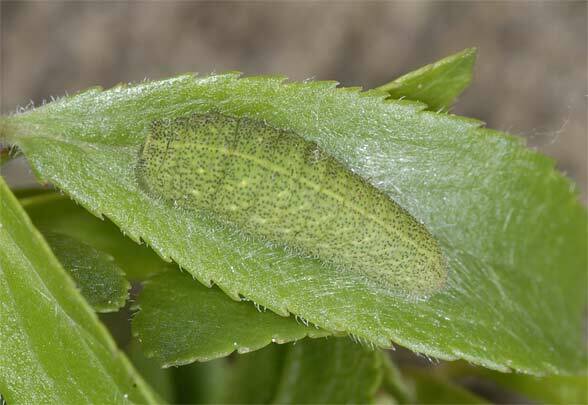 But this taxon is more likely to award only subspecies status. 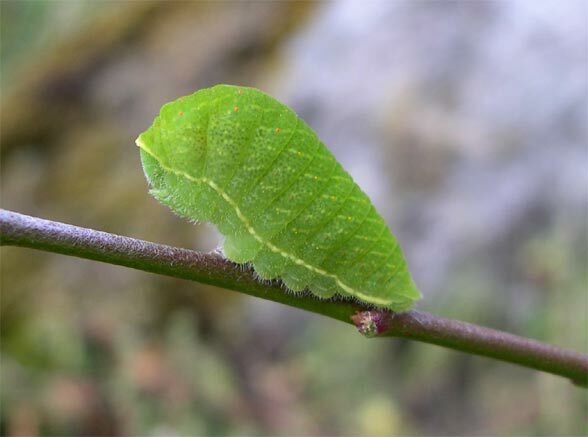 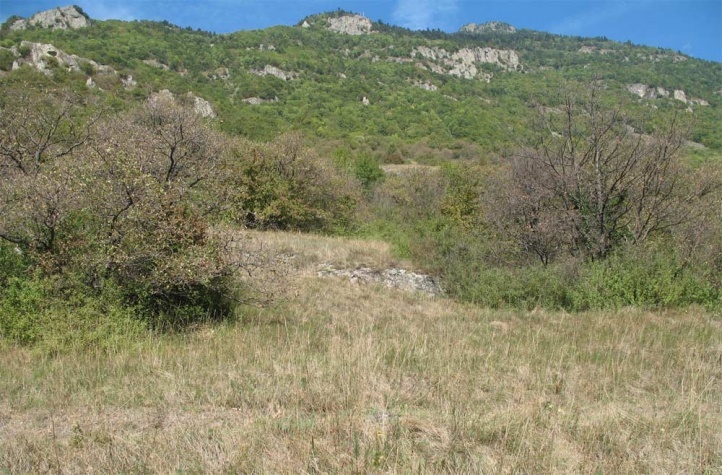 In the south Iphiclides podalirius is still common, however, in the north most remaining populations are declining more and more (Central France, Germany) because of habitat loss and despite global warming.